Quix works all popular Joomla template framework like Helix, Helix Ultimate, T3, Gantry and more. 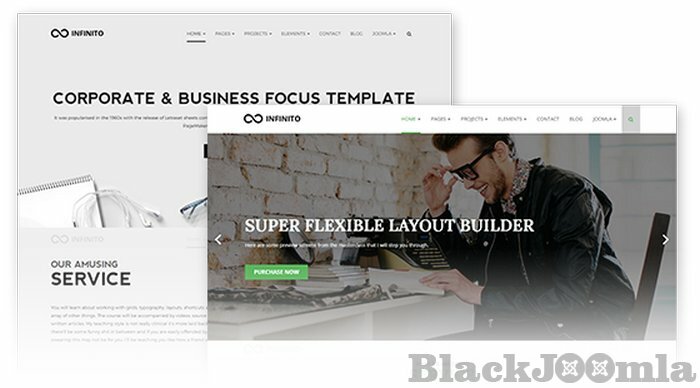 Comes with 100+ premium designed layouts and templates. 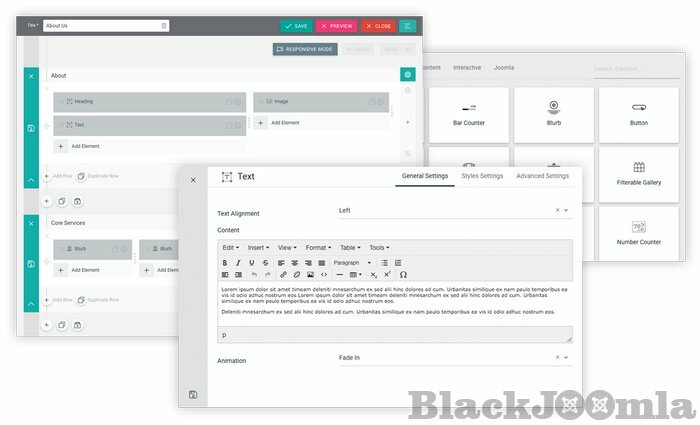 Take control of your page layout with the most advanced page builder in the market. 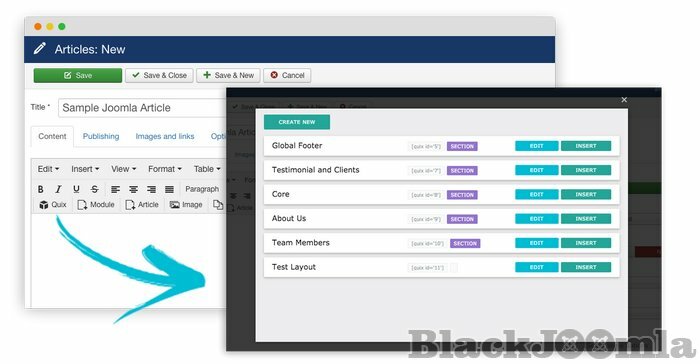 Manage everything from one place with simple drag & drop interface. There is nothing you can't build with Quix. Did you build website and check SEO late ? Not anymore! 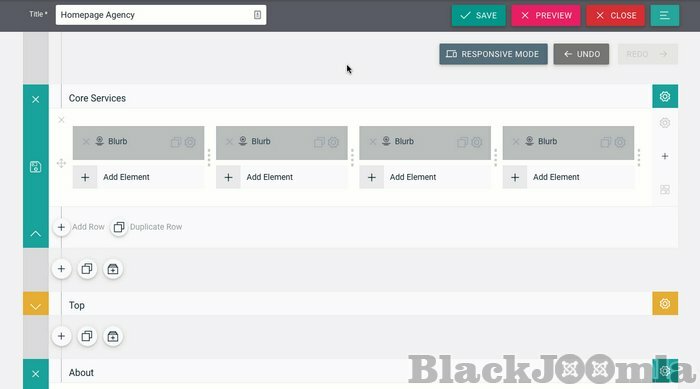 With Quix's live builder you can check and fix your SEO and SERP instantly while you build your website. Performance is not just an afterthought, we created Quix with performance in mind. With advanced caching mechanism and powerful rendering engine we made sure your website load faster than your competitor. 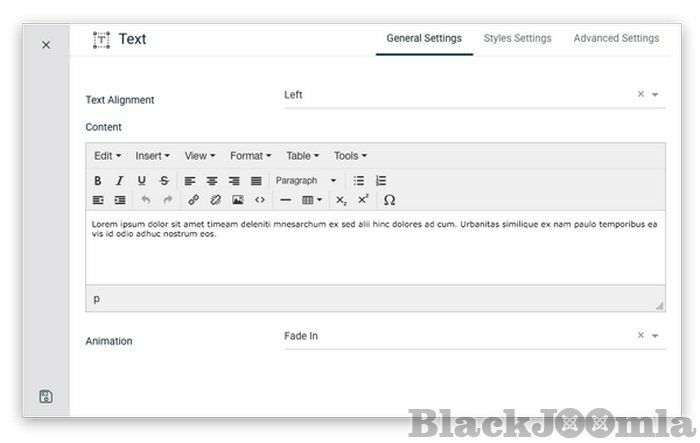 Quix is compatible with any template or framework and can be used to create beautiful and fluid layouts inside the component area or article of any size and shape. Absolutely no coding experience required to build a simple to complex layout, thanks to our wide range of configuration controls. 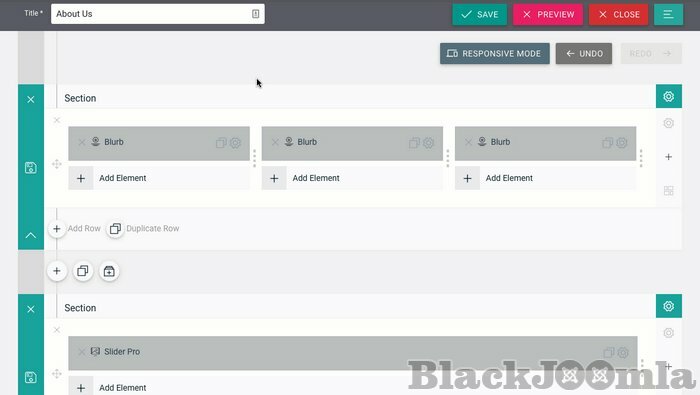 Modify colors, spacing and typography with just a few clicks. 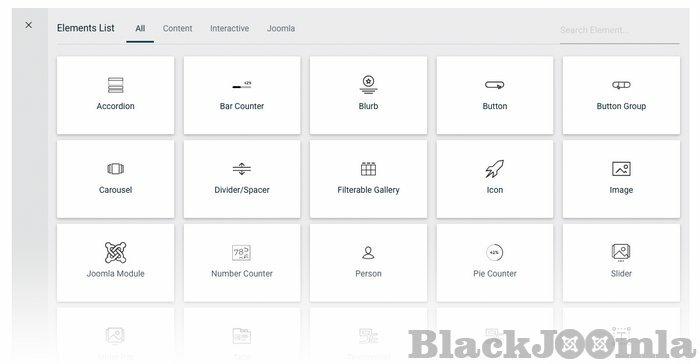 Forget the messy module manager and load any Joomla module from Quix builder interface. 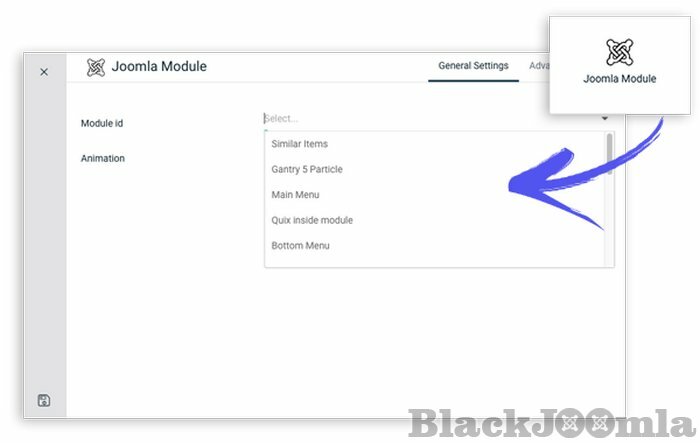 Just add Joomla Module element and select any available module you have.